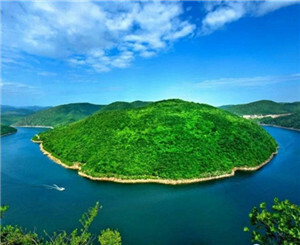 Xixia county, located in the southwest region of Henan province, covers an area of 3,454 square kilometers. With 81 percent of the area being covered by forest, Xixia county is so rich in medicinal herbs and fruits, that it is honored as a "Green Kingdom" and "Natural Drugstore". 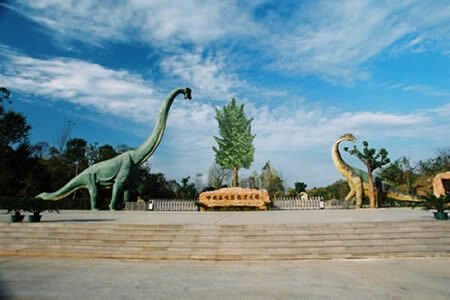 In the 1990s, Xixia was called as the "Home of Dinosaurs" after thousands of fossilized dinosaur eggs were unearthed. Since the reform and opening-up policies, and with the Wanxi Group, Xibao Group and Longcheng Group as the leading forces, Xixia has developed four advantageous industrial groups, namely, Chinese pharmaceutical manufacturing, steelmaking and auxiliary materials, automobile parts, and agricultural products and by product processing.